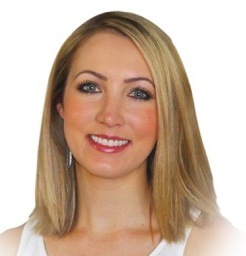 Dr. Jennifer McClanahan grew up in Las Vegas, and attended UNLV where she received a Bachelor of Science in Biology in May of 2006 and a degree of Doctor of Dental Medicine in May of 2011. Upon graduation, she spent some time practicing in Austin, Texas before settling here in Reno where she has been practicing with Divine Dental Smile since January of 2012. Dr. McClanahan is a standing board member of the Nevada Academy of General Dentistry and an active member of the American Dental Association, and the Northern Nevada Dental Society. She is also currently working towards a fellowship through the Academy of General Dentistry. While away from the office, Dr. McClanahan enjoys practicing yoga and spending time with family, friends, her husband Tony, and their 2 cats.